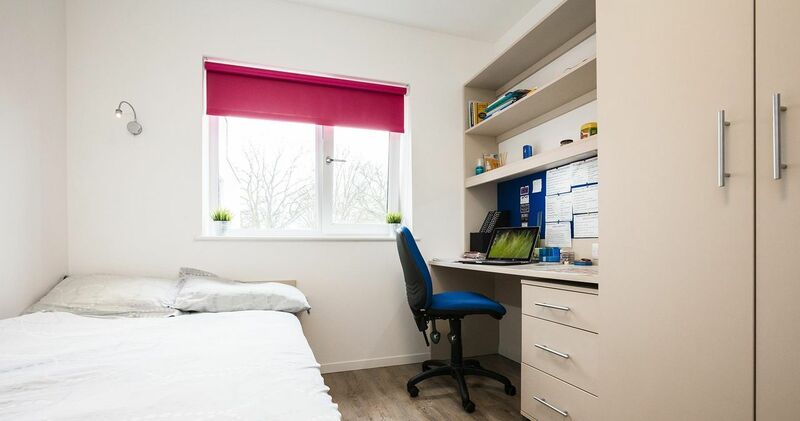 Your student accommodation is surrounded by beautiful green spaces. On weekends, drive seven minutes to The Valley Gardens and stroll through wildflower meadows and follow woodland trails. Adrenaline junkies should make the 10-minute drive to Thorpe Park to spend the day riding the roller coasters. Historic royal residence Windsor Castle is also 15 minutes from your home. At the end of a busy day, relax with friends at local pub The Beehive. 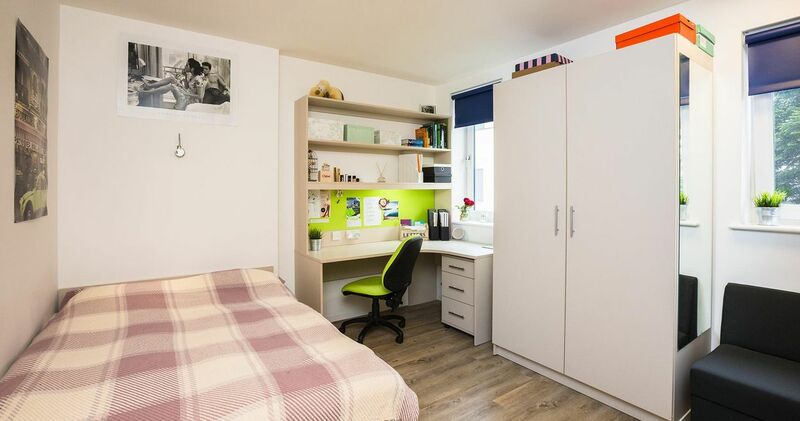 Roll out of bed and get to lectures in a flash when you choose student accommodation at The Pad - Egham. It’s a one-minute walk to Royal Holloway, University of London, so you won’t have to rely on public transport. Car parking and bike storage are available. Choose between an ensuite room in a shared apartment or take your pick from a range of studio rooms. All rooms are equipped with large, comfortable beds, individual heat controls and power showers, so you’ll have everything you need to feel right at home. 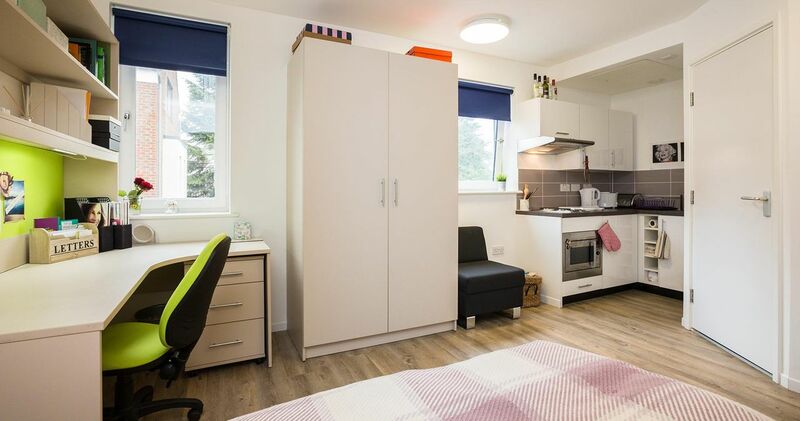 Cook up your favourite foods in the modern kitchen; if you’re sharing an apartment you can cook and eat with friends in the cluster kitchen area. There’s also a laundry room where you can keep your clothes clean. Afterwards, study with friends in the Library, catch up on your reading in the outdoor area, or clear your head with a workout in the onsite gym. Wir haben leider keine Unterkunft gefunden, die deinen Wünschen entspricht.Alle Privatzimmer in The Pad ansehen. Wir haben leider keine Unterkunft gefunden, die deinen Wünschen entspricht.Alle Ganze Wohnung in The Pad ansehen.